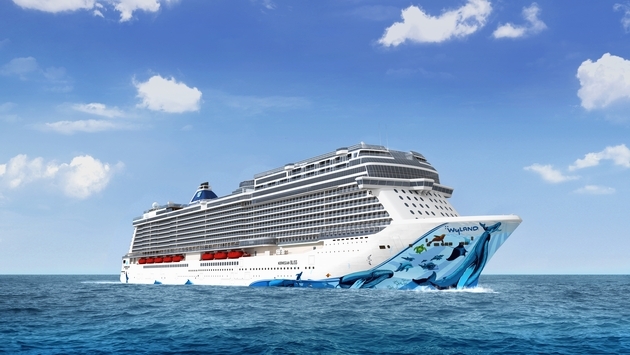 Despite not being ready to sail until the summer of 2018, passengers can now begin booking voyages on Norwegian Cruise Line’s newest ship, the Norwegian Bliss. According to FoxNews.com, the Norwegian Bliss begins its first official voyage in August 2018 when it sails from Seattle to ports in Ketchikan, Juneau and Skagway, Alaska, as well as a stop in Victoria, British Colombia. As for the cost of the seven-day journey, prices range from $899 to $5,749 per person, depending on dates and accommodations. Reservations for the maiden voyage and the four subsequent sailings are available to book through Norwegian Cruise Line’s official website. The Norwegian Bliss was built as the first ship with features and amenities designed to make it the ultimate Alaska cruise experience. In addition, the vessel will be adorned with a massive mural painted on the hull by renowned artist Wyland. Following its sailings in Alaska during the summer and fall, the Norwegian Bliss will be transported to the Caribbean in November, where it will make stops in Miami, Florida; St. Thomas, the U.S. Virgin Islands; Tortola, the British Virgin Islands; and Nassau, Bahamas. When completed, the Norwegian Bliss will hold 4,004 passengers and will measure 1,082 feet in length.